JKUAT Closed Indefinitely. – Kenyatta University TV (KUTV). All Rights Reserved. 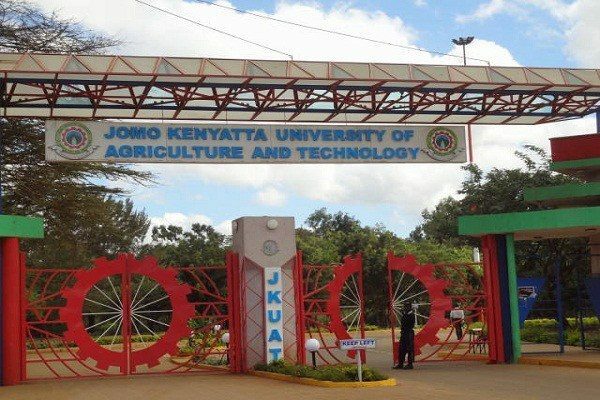 Jomo Kenyatta University of Agriculture and Technology has been closed indefinitely today the Wednesday 15th of 2017. A memo served to students by the administration said that classes and all other scheduled activities for the September-December session have been suspended from the date of this correspondence. Students residing in the University were expected to vacate the University premises by the 2:30 p.m at the very latest. The closure of the University is attributed to the alleged demonstrations by students of the University. JKUAT becomes the third University to be closed indefinitely in the September-December session this year. Mount Kenya University (MKU) has closed down its Thika Campus on 9th of October this year. This followed the protest of students against the institution’s system and management. Students had been out on the streets protesting against the arrest of their former student leader and now Embakasi East MP, Babu Owino. If the election result is upheld, Kenyatta will be sworn in on Nov. 28. Zlatan Ibrahimovic Will Be Back From Injury In 2017!